Item : CVA 256-01.17 - Sir Donald Smith driving last spike of the C.P.R. Sir Donald Smith driving last spike of the C.P.R. 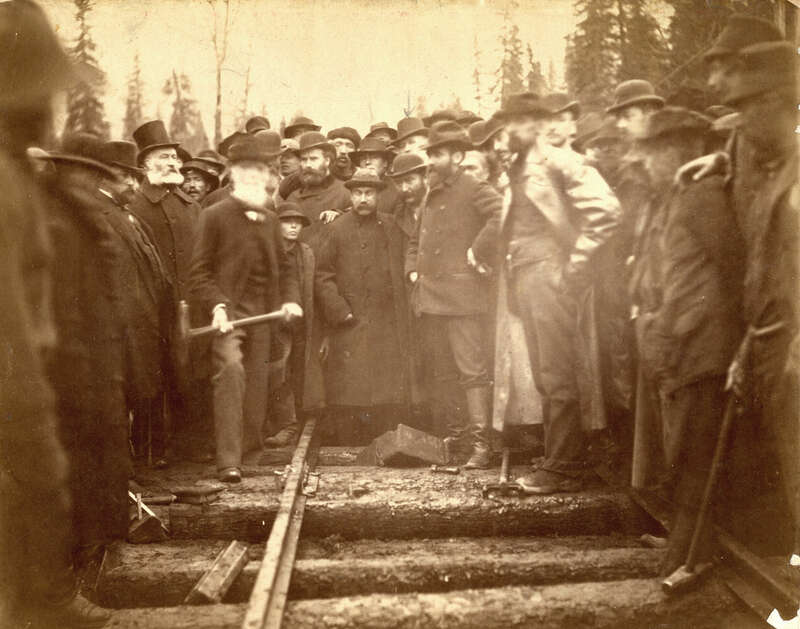 Item is a photograph showing Sir Donald Smith driving the last spike into the Canadian Pacific Railway tracks. Also pictured: W. Van Horne, Fleming, W. Gourish, Harry Abbott, Egan, and H.A. Ross.